I love this ensemble, entirely by Dior. I popped into Manhattan with my daughter today to remind myself I live in New York City (I forget all the time since I get bogged down in the details of day-to-day life) and do some window shopping at Bergdorf. Even though it was muggy and hot, Bergdorf definitely got me thinking of fall with their windows on Fifth Avenue that showed patterned coats with slender trousers in solid colors, high heels, and a collection of amazing bags! I love pants so much more than skirts or dresses so these looks definitely spoke to me. The back of the coat. Looks good coming and going! A great floral coat by Giambattista Valli. I am wild about the color of this Saint Laurent bag. The perfect shade of pink! 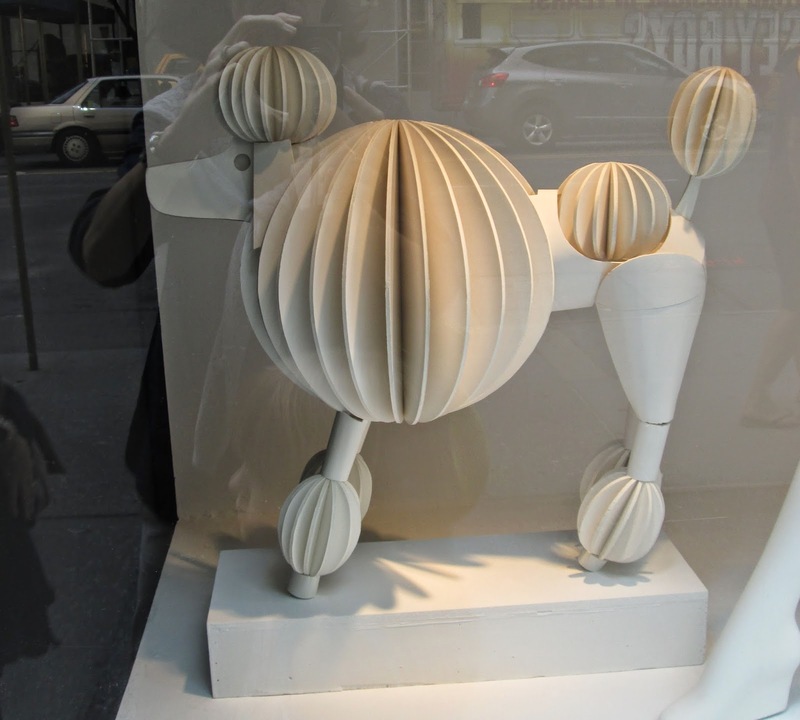 My favorite windows this time out, however, were the ones on 57th Street that featured a few outfits along with dogs galore! My daughter was not impressed. “When will they show cats?” she asked. She is cat obsessed. “Maybe next time!” I told her. 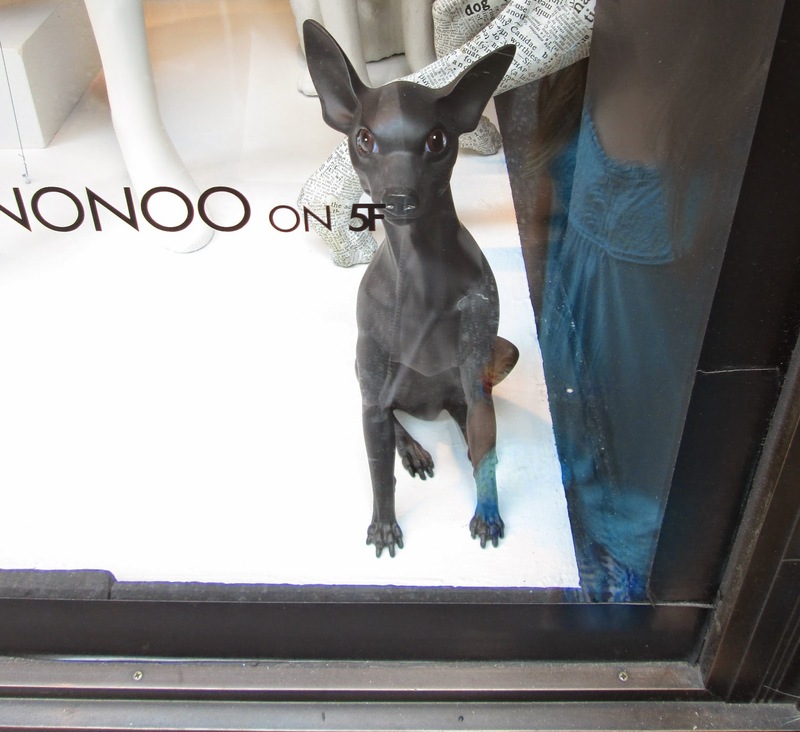 I consider myself a fan of both cats and dogs so I couldn’t help being charmed by these pooches in the window. Here’s to the dog days of summer! 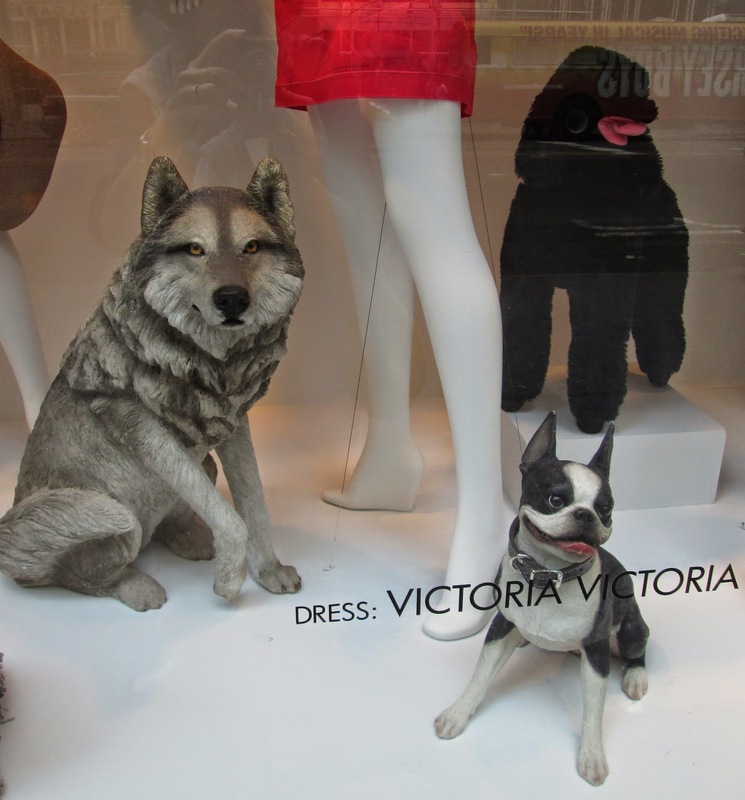 The clothes were just okay, but the dogs were divine! I do love an Afghan hound, which I see very rarely in person. Dachshunds are one of my favorite breeds of dogs. I love their funny personalities. I can never resist a standard poodle since we had a white one named Beau when I was growing up. This dog wins the staring contest. I love a dog with glamorous hair! 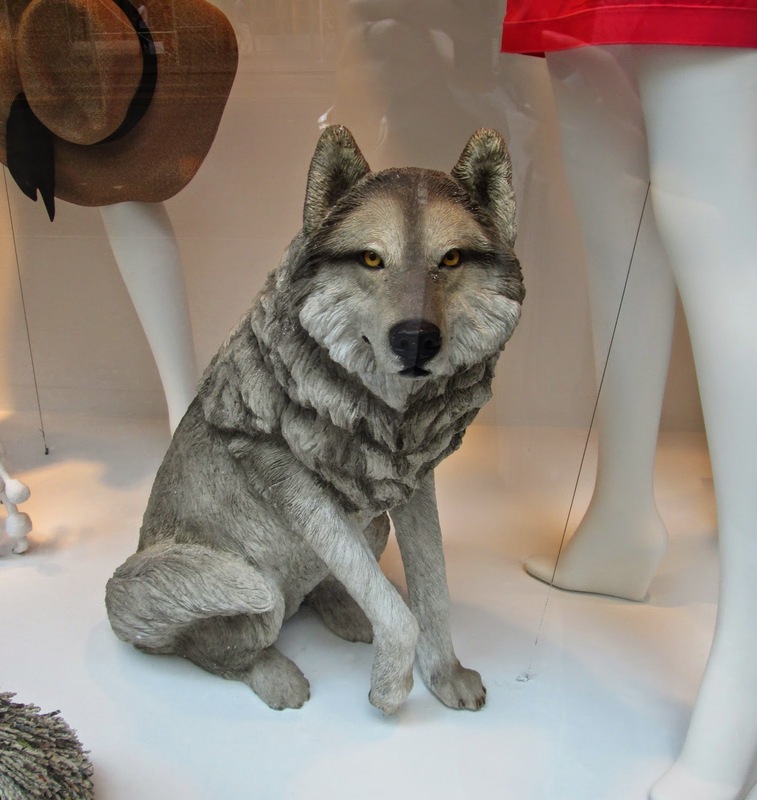 I do love looking at those window displays. Did you see the fab Bergdorf doco on netfliz "Scatter My Ashes at Bergdorf"? I highly recommend and they go over the whole window display process. I am now a big Linda Fargo fan too! What a fantastic window display! OMG ... love the dogs! Such colorful doggy personalities! And great coats and how much would I love to have that pink bag?! If they do cats, please share! I love dogs and cats both! The dogs are awesome!! So glad you took the pictures. I also love that second floral coat! I am like you Jill...I love pants so much! I have to make myself wear an occasional skirt or dress! Thanks for the window treat!